Air pollution is recognized as one of the leading contributors to the global environmental burden of disease, even in countries with relatively low concentrations of air pollution. Air Pollution: Health and Environmental Impacts examines the effect of this complex problem on human health and the environment in different settings around the world. It not only covers general modeling, monitoring, and characterization techniques but also includes field studies and cases that offer valuable insight into region-specific issues. With contributions from a distinguished group of international experts, the book explores ways of controlling air pollution and mitigating its adverse effects on human health and the environment. 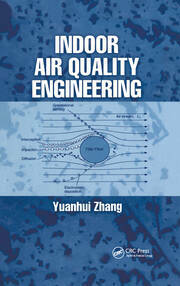 Often taking a regional and global perspective, it discusses the monitoring and source characterization of air pollution, the theory and application of air quality modeling, health effects and risk assessment, and the environmental impacts of air pollution. 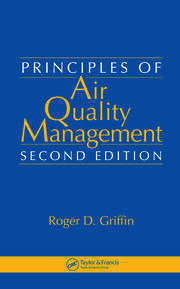 The book also addresses air quality management and relevant policy issues. 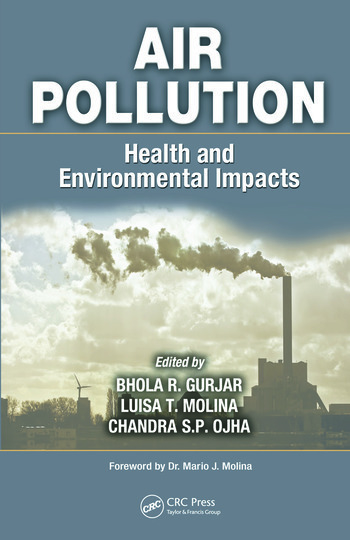 Along with providing an understanding of the scientific basis of air pollution, this volume helps readers better appreciate social and environmental determinants of public health and apply country-based research evidence to reduce health disparities and environmental inequalities. It also encourages future research and policy action on the health and environmental consequences of air pollution from the local to global level. Bhola R. Gurjar is an associate professor in the Department of Civil Engineering at the Indian Institute of Technology in Roorkee. Dr. Gurjar is also head of the Max Planck Partner Group for Megacities and Climate Change. Luisa T. Molina is the principal research scientist in the Department of Earth, Atmospheric, and Planetary Sciences at the Massachusetts Institute of Technology. Dr. Molina is also president of the Molina Center for Energy and the Environment in La Jolla, California. C.S.P. Ojha is a professor in the Department of Civil Engineering at the Indian Institute of Technology in Roorkee. … Though it provides short descriptive analyses of most of the fundamental topics, [the book’s] value lies more in demonstrating these topics in case studies, which are drawn from the US, India, and elsewhere. Additionally, the work introduces many new and often advanced methods and materials that explore, for example, topics in risk, economics, policy, and sustainability. Even experts in the field may be captivated by some of these new ideas. … the material is well organized with minimal overlap. Summing Up: Highly recommended. This book provides an invaluable and timely contribution to the urgent environmental challenges facing our society today. As illustrated in the book, we need integrated, interdisciplinary approaches to address the effects of human-induced activities.